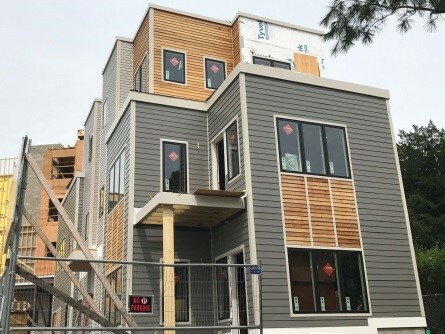 This week we sent a comment letter on a proposed residential project at 874-878 South Street, located at the “corner of South Street and South Street”–across from Green T Coffee Shop and adjacent the Hong Kong 888 Cafe, where South Street becomes Walter Street and turns into South Street. We’ve covered this development before in this space, going back at least as far as our first round of feedback back in July 2015, and the latest plans were circulated at an abutter meeting in March. We are typically aligned with “YIMBY” groups and inclined to support residential development, because density both promotes walkability and creates more desperately needing housing opportunities. Our eagerness to support development is neither unlimited nor uncritical, however. 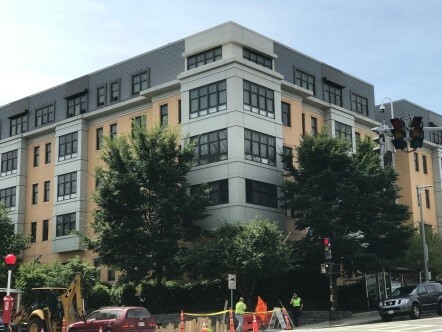 In the case of this project, WalkUP is withholding support for the zoning relief requested by the developer based on a design that is sorely lacking. We are likely to get only one crack at each of these new buildings in our lifetimes, so it behooves us to get it right. We are hopeful that the developer will take our constructive criticism to heart and improve the proposed designed before its zoning appeal hearing, which is likely to be scheduled in October. We’ll post updates here as we get them, either on the design or the hearing date. In the meantime, our full comments are below and also available as the PDF letter as submitted to the Board of Appeal. I write on behalf of WalkUP Roslindale to comment on the referenced Proposed Project, which is being proposed by Kourtidis Roslindale LLC (Owner/Developer). WalkUP Roslindale, which takes its name from the international movement to foster “Walkable Urban Places,” is a collaborative group of residents informally founded in May of 2015 to make Roslindale the most walkable neighborhood in Boston. We advocate for a dynamic, livable streetscape and we support positive changes to our public and private built environment that strengthen walkability and other forms of active mobility as means toward better personal and public health, safety, social capital, economic development, and environmental sustainability. We are led by a steering group of twenty residents and have over 500 additional supporters. 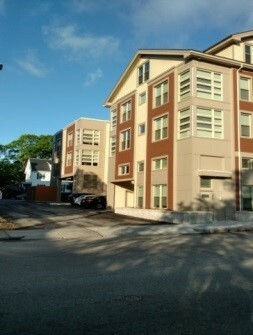 More information about WalkUP Roslindale and our initiatives can be found at walkuproslindale.org. We recognize that no single group of people can be said to speak for our entire neighborhood – instead, please take these comments as representing the collective, specific viewpoint of our steering group members (indicated below) and offering what we see as the analysis that results from our mission and principles. In concept, the Proposed Project fits well within most of WalkUP Roslindale’s principles. 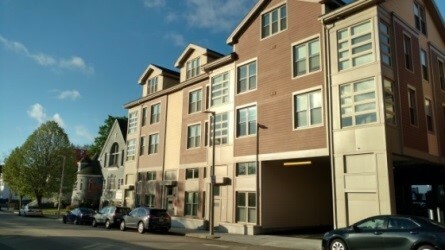 The location is a short walk to Roslindale Square, and thus walkable to its services, restaurants, shops, and transit options (both MBTA commuter rail and bus service), as well shops and services in the immediate Longfellow Area of our neighborhood, providing both a benefit to the new residents who will own and occupy these units and a new base of customers for businesses in the neighborhood, which benefits all Roslindale residents. The Proposed Project has been in development for some time and we well recall that the initial proposal, in early 2015, was for 15 units with 15 off-street parking spaces in a flat-roofed, modern-looking building one story taller. While we could have supported that number of units and parking spaces as well as the flat-roofed design with design alterations, some neighbors objected on both counts and the Proposed Project has been scaled back as described above. While much discussion and some disagreement in the community focused on the program (especially the number of units and parking spaces), there was a general consensus among all participants in the public process that the design of the Proposed Project was not sufficiently thought-out to warrant full support from anyone. The initial drawings presented scant detail and there were some who wanted the Proposed Project to adopt a pitched or gabled roof similar to other nearby residential structures in the neighborhood. The first revised proposal from early March of this year proposed 9 units and 18 off-street parking spaces. 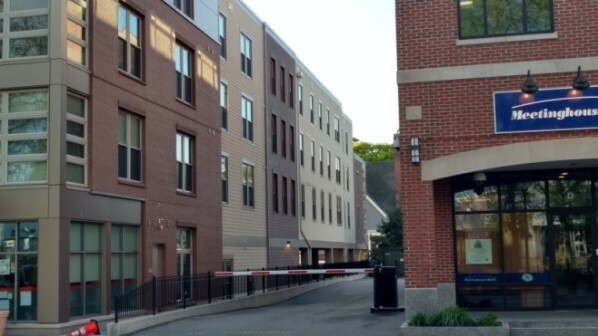 When presented at the Longfellow Area Neighborhood Association’s March meeting, there was substantial agreement among neighbors that, given the Proposed Project’s proximity to Roslindale Square, the number of off-street parking spaces should be reduced and bicycle parking included. The current proposal reflects these comments, eliminating two spaces at the rear of the surface parking area and converting one of the structured spaces underneath the building to bicycle parking. In addition, the Proposed Project as further revised now has a pitched or gabled roof facing South Street with shed dormers on the sides. While this shows that the Owner/Developer and his design team are aware of public comments, the design in its current state is still unfortunately severely lacking. The flat, virtually featureless elevations of all 4 sides of the building may be easy to design and cheap to build, but they will be detrimental to the immediately abutting properties and the neighborhood in general. 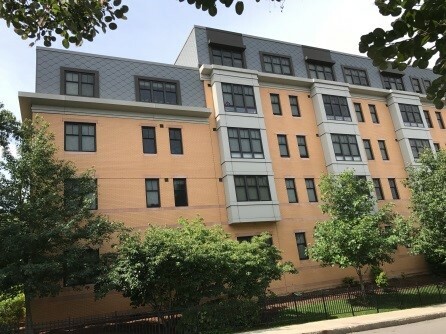 The current design will entirely miss the need to occupy this site with a high-quality building that can at least hold its own with the Longfellow School building diagonally across South Street. A design as compromised as what has been presented would also tend to set back the wider cause of wisely located infill development and redevelopment in our neighborhood. On the west (right) side, eliminate the unnecessary porte cochere – this will make space for more windows (5 each) for bedrooms and bathrooms and eliminate the blank facade. Add projections to break up the façades on all sides, such as oriel windows for the bedrooms; consider appropriately scaled balconies and/or bays for the living rooms as well as other modulating features such as changes in exterior building materials by floor or structural element. In addition to these examples, we would also like to highlight the design elements in the enclosed plans for a new building at 65 Green Street in Jamaica Plain, which shows images of the evolution of that design – the final image being the project as approved. We believe all of these designs are better detailed and thought-through than the Proposed Project. 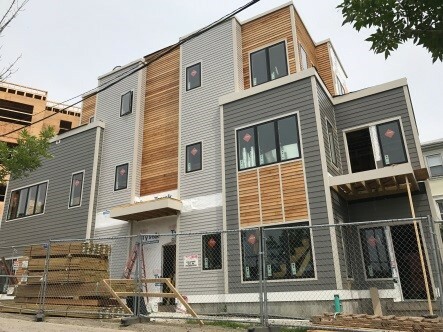 WalkUP Roslindale asserts in the strongest possible terms that our neighborhood deserves a design for the Proposed Project at least as good as those projects. With respect to the ground level and landscape design, we suggest that the small green space proposed for the front be redesigned with a porch and/or front patio space for the ground floor unit. We also suggest that the rear green space between the parking area and the rear property line be converted to a small resident amenity space with outdoor seating and a grilling area. In addition to our design suggestions, we encourage the Board to require that Owner/Developer provide two (2) additional amenities to the Proposed Project that will benefit both residents of the Proposed Project and the neighborhood. First, the Owner/Developer should provide at least a 12-month subsidy for monthly MBTA transit passes and/or Zipcar car-sharing services to the initial purchasers of units. Something similar to this is being implemented at the Taft Hill development and was a major selling point for that project. 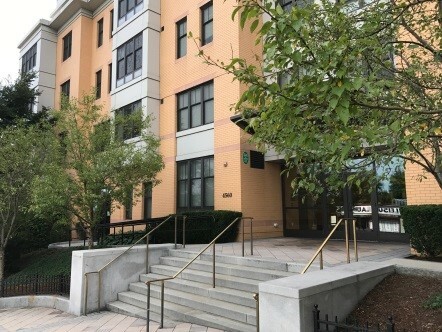 Alternately (or in addition), the Owner/Developer could help sponsor a nearby Hubway bicycle-sharing location, which would benefit both future residents of the Proposed Project and the neighborhood at large. Second, the Owner/Developer should commit to improving the small pocket park at the front door of the Proposed Project and provide for high-quality public bicycle parking in a redesigned, more functional space. We see these proposals as very much in agreement with the Boston Transportation Department’s recently released GoBoston 2030 Mobility Plan, especially the number one priority of making Main Streets Districts (drawn in the plan to include this part of Roslindale) more pedestrian and bicycle friendly. We very much appreciate your careful consideration of our comments and would be happy to discuss any questions you may have on them.